Sophia Roy Choudhury MD (AM) is a clairvoyant and an intuitive healing channel. She firmly believes that every being has an inherent capacity to heal itself. Sophia is the Founder of ‘Cosmic Wisdom Sharing Foundation’. A Not for Profit organization founded in 2007 in memory of her late son Capt. Sameer Roy Choudhury, of the Indian Army, who was martyred in 2006 while on active army duty. CWSF offers services of Alternative Medicine approaches of Healing, Meditation, Counseling, Workshops & individual sessions to the Defense and Police personnel, their families, Corporates and groups. Sophia is a trained and certified Therapist and Trainer for Past/Future life regression/progression therapy, Inner Child Therapy and Meditation. She is a trained and certified Psychological Counselor. She is a certified Shamanic & Breath work practitioner. She is adept in the modalities of Pranic healing, Energy work, Body Memory healing, Cellular memory change/healing, Hypnosis, Trans Generational Healing and many other approaches. She is a Tantra trainer & Sacred Intimacy retreat facilitator. She has done extensive research in different modalities of traditional and alternative healing, culminating in ‘Soul Wisdom Therapy’. This is Sophia’s unique offering to the Art and Science of Healing. ‘Soul Wisdom Therapy’ is a dynamic portal connecting various Ancient and New Age healing approaches, customized to the unique needs of an individual. Nature, fragrance, silence, movement, voice and music find a unique place in ‘Soul Wisdom Therapy’. CWSF believes that every soul manifests its own healing. The Foundation anchors a safe environment where an individual is guided with compassion; unconditional and empathic support on his/her Journey to manifest a Holistic Healing. Sophia Roy Choudhury is a rare example of how one can heal oneself of life’s greatest traumas and rise again to facilitate in making the world a better place for humanity. She has conducted a workshop ‘Dark Night of the Soul’ at the International Forum PLRC 3 at Delhi in 2013. This workshop was based on her own soul journey of Healing from Trauma. With over two decades of experience, she brings a fresh insight into every workshop. Fifteen years ago when Past Life Regression Therapy was in its infancy in India, she had used this approach for the first time in Hyderabad at a Rehabilitation center where she rendered free service. Many addicts and alcoholics languishing for years in the Rehabilitation center got a new lease of life and became active members of society. She is successfully working with persons presenting addictive behaviors. These individuals have been able to achieve miraculous recoveries from their addictions and lead normal lives. She conducts Meditation and Workshops for the Defense and Police personnel so that they may achieve stress relief and a better quality of life. She has incessantly been working with Defense personnel of all cadres aiding in relief from PTSD, especially those who have been in active service in war, at the border and field areas. Police personnel of all ranks experiencing the trauma of burn out in strenuous and high risk jobs are provided private counseling and therapy by her. It is worth mentioning that these are purely compassionate social services with the aim of inculcating peace, harmony and stability in persons who give their all in guarding and protecting our country. She has dedicatedly supported individuals with terminal illnesses undergoing conventional treatment, using Meditation and Creative Visualization as complimentary therapy. She has been actively involved in providing counseling and other modalities of alternative approaches like Meditation and Soul therapy for families and children of Defense personnel posted out to field and border areas. She has been conducting Inner Child Healing, Counseling and Meditation workshops for army and private schools. Teachers and parents are taught the skills to take care of children and students in nonviolent and empathic ways, so that children can be happy, stable, achieve their maximum potential and feel empowered. Her vast repertoire of healing and counseling skills together with a child friendly personality has been instrumental in connecting to children of all ages, teenagers and young adults. They are able to overcome study stress, depression, suicidal tendencies and heal themselves. She has used the approach of Meditation and Creative Visualization with these young persons enabling them stay calm, relaxed, focused, improve memory and concentration. These groups of children and young adults have developed an enhanced quality of wellness and success in their lives making them enriched and empowered. After graduating in Hotel Management Sophia Roy Choudhury joined Indian Airlines now Air India Ltd. She was heading Air India Ltd.’s prestigious corporate guest house, at the premier aviation training institute of India, Central Training Establishment at Hyderabad. She retired in 2016 after an illustrious career spanning 32 years. Here she had the unique opportunity to study individuals from all walks of life and disciplines of the Aviation Industry. Over the years she has facilitated many such persons through counseling and therapy. She laid the ground work and facilitated the initial classes in Meditation for Trainee Pilots and Cabin Crew of Air India Ltd. The effect of Meditation on those working in the challenging sector of Aviation can be easily understood. She has been gifted with the unique ability of communicating with the plant, animal and spirit worlds. She is an excellent orator, avid gardener, writer and poet. She has earned a PG Diploma in Journalism. She has carried columns in two leading newspapers of Hyderabad viz. Deccan Chronicle and Hindi Milap as a freelancer. Her forte’ is inspirational stories and many of these have been awarded. 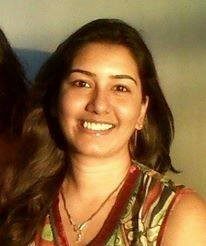 Shurobi Hitesh Hindocha is an internationally trained AMI, Netherlands Montessori Guide. Montessori is her passion and profession; a mass communication graduate she has published articles and edited literature from various fields. Together with teaching, she has been involved in various outreach projects with children from over a decade. 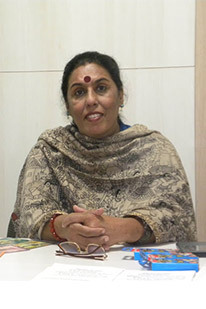 She has organized and offered many awareness programmes for parents and teachers. As a faculty of CWSF Shurobi will facilitate workshops for parents and teachers concentrating on many aspects of childhood and child development, natural play patterns and developmental progressions, modern parenting styles and interventions etc. to name a few.